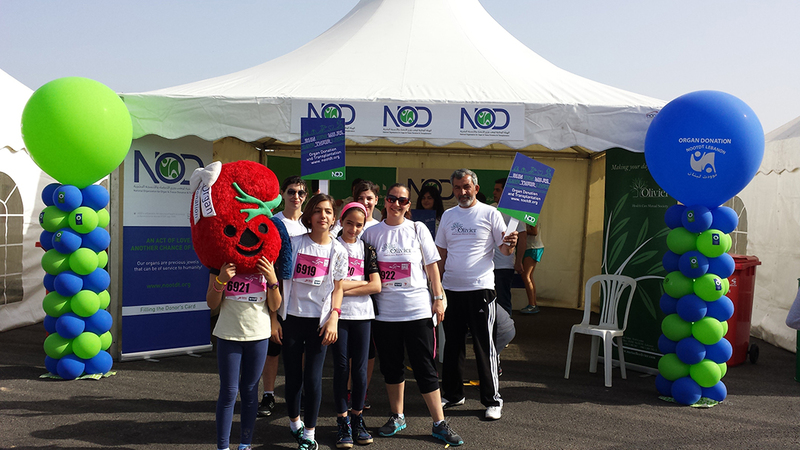 NOD Lb with the cooperation of a group of volunteers from LAU, participated in the women’s race organized by Beirut marathon association. NOD Lb had people running to support organ donation and had a booth where we welcomed people, distributed brochures, talked about the cause and provided donation cards. The booth was sponsored by OLIVIER insurance.